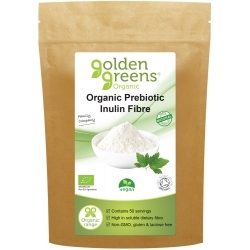 Inulin is a starchy carbohydrate found in pulses, predominantly lentils and chickpeas. It contains 90% dietary fibre. There are no known interactions with other medicines or supplements. Inulin may cause some stomach discomfort when first taken so it is recommended to start with a small amount and gradually increase dosage up to 5g daily.